The epidermis also called the outer layer it’s the thinnest layer, but it’s responsible for protecting you from the harsh environment, with five layers of its own: stratum germinativum, stratum spinosum, stratum granulosum, stratum lucidum, and stratum corneum. The epidermis also hosts different types of cells: keratinocytes, melanocytes, and Langerhans cells. Keratinocytes produce the protein known as keratin, the main component of the epidermis. 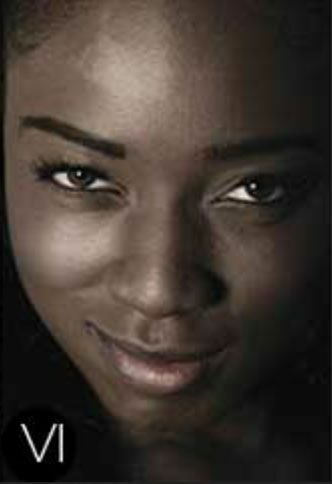 Melanocytes produce your skin pigment, known as melanin. Langerhans cells prevent things from getting into your skin! 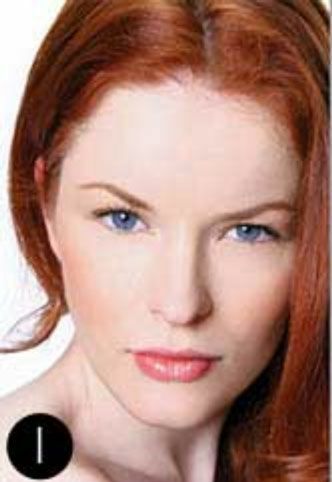 The dermis also called the middle layer is the layer responsible for wrinkles. 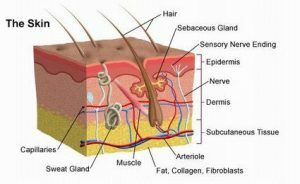 The dermis is a complex combination of blood vessels, hair follicles, and sebaceous (oil) glands. Here, you’ll find collagen and elastin, two proteins necessary for skin health because they offer support and elasticity. Fibroblasts are the cells you’ll find in this layer because they synthesize collagen and elastin. This layer also contains pain and touch receptors. The hypodermis is the innermost and thickest layer of the skin also called the fatty layer. 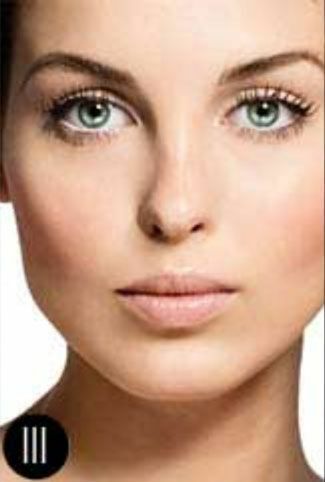 Reduction of tissue in this layer is what contributes to sagging skin. This layer is also known as the subcutis. It hosts sweat glands, and fat and collagen cells, and is responsible for conserving your body’s heat and protecting your vital inner organs. 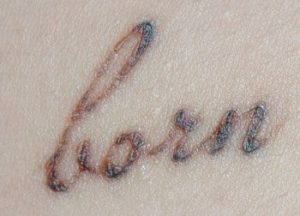 Before starting laser tattoo removal, it’s important to know your skin type. Below table gives you a detailed overview of the different skin types and its characteristics. 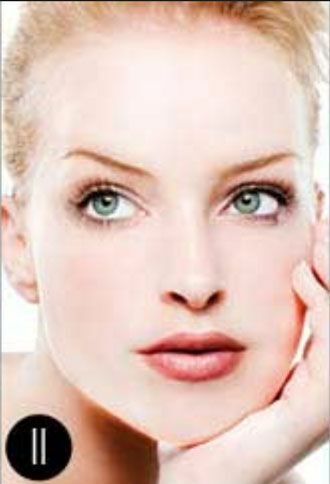 The skin type is often categorized according to the Fitzpatrick skin type scale which ranges from very fair (skin type I) to very dark (skin type VI). This skin type test is not intended to be a substitute for professional medical advice, diagnosis, or treatment. Always seek the advice of your dermatologist or a qualified physician with any questions you may have regarding your skin. Is your face sensitive to the sun? If you stay in the sun too long? When was your last tan? How brown do you get? Every medical procedure comes with potential risks and complications. Laser tattoo removal is no exception to this statement. The risk of infection is very low, especially if the patient follows the prescribed post-procedure instructions, but can occur. The laser pulses heat up the ink particles which, in turn, can break tiny blood vessels around the tattoo. This causes superficial blisters that fill with water and ink to develop. These blisters are only an expansion of the very outermost layer of skin and will not lead to scarring. While the blisters can look intimidating and be tender to touch, do not puncture them. It takes 3 to 14 days for the blisters to heal completely. 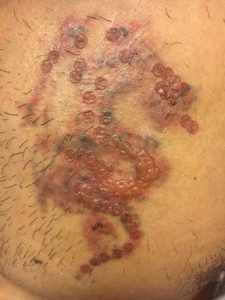 Yet another sign that the tattoo removal is working, scabs often collect fragmented ink particles and usually appear 8 to 72 hours after the area has been treated. When the scab falls off, the top layer of ink will come with it. Picking at or peeling off scabs can increase the risk of scarring, so, however, tempting it might be, try to avoid this. 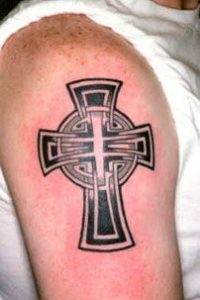 A lot will depend on the size and location of your tattoo, but most scabs will disappear within two weeks. There’s a higher risk of hypopigmentation with tattoo removal on darker skin tones. People with darker skin can remove a tattoo with a laser, however, there is a higher risk of hypopigmentation because the laser may remove pigment from your skin along with pigment from your tattoo. 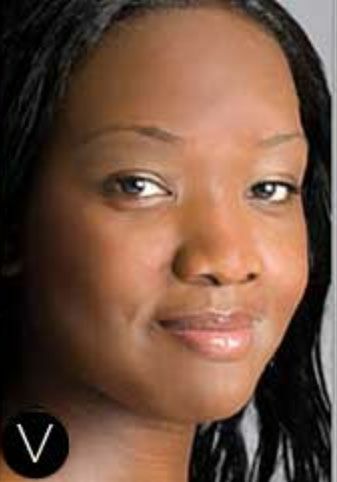 Hypopigmentation occurs as small white macules matching the laser spot size and shape, within weeks of treatment. These may last for few months and may rarely become permanent. The risk of hypopigmentation appears to be directly proportional to the number of treatment sessions and fluency. However, these side effects can be avoided by using the right fluence tailored to an individual patient. A test patch in the covered area may be helpful to decide the appropriate fluence. During pregnancy or patient trying to become pregnant. There is an unknown but possible risk of transfer of ink to the fetus. In additional slight risk of miscarriage due to the stress of the procedure. Furthermore, during pregnancy, the skin becomes more sensitive to light and therefore more susceptible to react to laser light. Breastfeeding, again because of unknown but possible risk of transfer of ink to the baby. Patients with bleeding disorders. These disorders can lead to heavy and prolonged bleeding during the process of tattoo removal. History of keloid scarring because of an increased chance of further keloid scars. History of hyper or hypopigmentation. Anemia also called a lack of blood. In general, a patient’s first few treatments will result in more significant side effects that later treatments. Once the amount of ink in the tattoo has decreased, the immune response associated with the treatment will be less obvious. 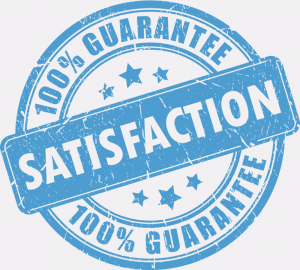 Additionally, the patient will be more conditioned to the treatment. To ensure that your tattoo removal sessions are moving along quickly, our laser tattoo removal clinic has some aftercare tips that you should take into consideration to best protect and heal your skin. Once a laser beam is produced it is aimed at the tissue to perform a specific task. 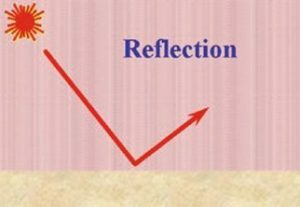 As the energy reaches the biological interface one of four interactions will occur; absorption, transmission, scattering, or reflection. 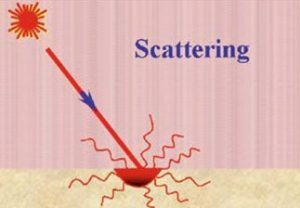 Once the laser energy enters the target tissue it will scatter in various directions. This phenomenon is usually not helpful but can help with certain wavelengths bio stimulative properties. Absorption is the most important interaction. Each wavelength has specific chromophores that absorb their energy. This absorbed energy is converted into thermal and-and/or mechanical energy that is used to perform the work desired. 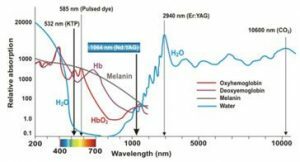 Near-infrared lasers like diodes and Nd:YAGs are mostly absorbed by pigments such as hemoglobin and melanin. Erbium and CO2 lasers are predominantly absorbed by water and hydroxyapatite. The shorter, near-infrared wavelengths of diodes and Nd:YAG lasers also penetrate tissue more deeply than the longer, mid-infrared wavelengths of the erbium and CO2 lasers. Specific molecules in the tissue known as chromophores absorb the photons. The light energy is then converted into other forms of energy to perform work. The laser beam bounces off the surface with no penetration or interaction at all. Reflection is usually an undesired effect, but a useful example of reflection is found when Erbium lasers reflect off titanium allowing for safe trimming of gingiva around implant abutments. The laser energy can pass through superficial tissues to interact with deeper areas. Retinal surgery is an example; the laser passes through the lens to treat the retina. The deeper penetration with Nd:YAG and diode lasers is an example of tissue transmission as well. The wavelengths of the four most common medical and aesthetic lasers are shown where they occur in the electromagnetic spectrum. All are in the non-ionizing infrared part of the spectrum. Absorption patterns of the chromophore water, melanin, and hemoglobin are superimposed on the graph. 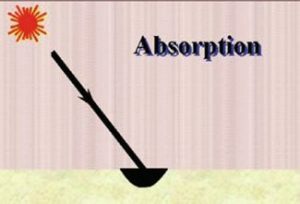 This absorption is what converts light energy into thermal and/ or mechanical energy to do work. Lasers are powerful tools that are increasingly being used for a growing number of medical applications. Lasers are used every day to remove unwanted tattoos, make incisions during surgeries, and treat aches and pains. Each of these applications works because of one of three types of laser-tissue interactions: photothermal, photomechanical, or photochemical. Lasers relying on photomechanical effects use shorter pulses of power and thermal expansion to create acoustic waves. These waves then break up the target material into smaller particles, making it useful for applications such as tattoo removal and photorefractive keratectomy. Lasers that produce a photothermal effect use prolonged energy exposure to facilitate an increase in chromophore temperature, which in turn leads to cellular vaporization. 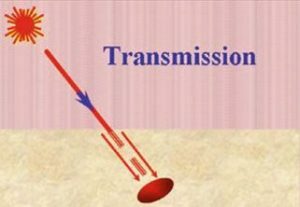 This type of laser-tissue interaction is what occurs during surgical and hair removal laser use. Lasers using photochemical effects do not destroy or break up tissue. The light that interacts with tissue in a photochemical manner is absorbed into the chromophores and precipitates a biological cascade of events that promote pain relief and inflammation reduction. Photochemical laser-tissue interactions are operative in therapy applications, such as Deep Tissue Laser Therapy and photodynamic therapy.